1) FREE SHIPPING on All Products (Limited Time) until FRIDAY 31st August 2018 11:59pm. To help you get the products you need to ‘Shape up for Spring’ there is FREE SHIPPING on all 180 products until Friday 31st August 11:59pm. 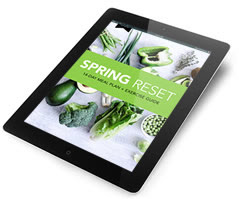 This is your chance to give your body the fuel it needs to regenerate your body from the inside out, so you can lose weight, boost your energy levels, and Shape up for Spring! JTC Commercial Blender: BPA friendly and worth over $359, this is powerful enough to drive a small fishing boat! I personally have had one for 4 years & still runs like a dream. It slices & dices pretty much anything you want into liquid nourishment! 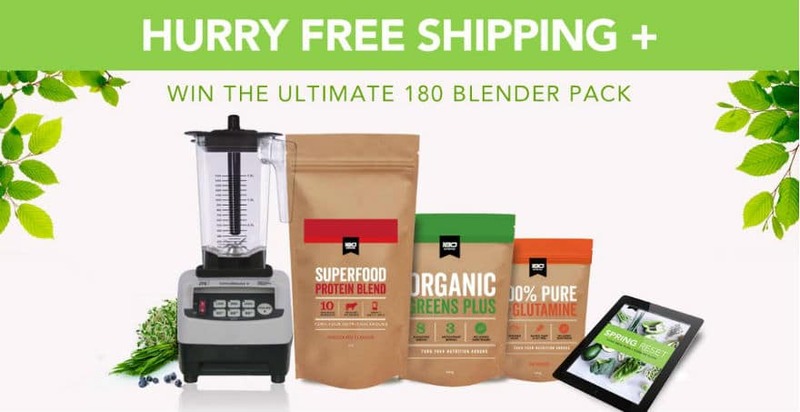 180 Superfood Protein Blend (4kg – 100 Serves): Need we say any more? Worth almost $200, three months worth of pure goodness helping you get fitter & healthier every day! Organic Greens Plus: Get all your healthy superfoods in one drink with no blending, juicing or messy clean-up. Pure L-Glutamine: This is amazing for the digestive system, muscle recovery and it even helps in reducing sugar cravings! Hurry, One week only! Offer closes Friday 31st August 11:59pm.